Whether your boat is taking up space in your driveway or your closets are bursting with all your belongings, K-Beach Stor Mor in Soldotna, AK, on the Kenai Peninsula has your storage solution. This local self-storage facility has a long history of serving Alaska residents, and they offer the services you need to de-clutter your life. They have an honorable reputation within the community, and their team is committed to giving clients exactly what they need. When you put your belongings into storage, security, convenience, and cost are your top concerns. K-Beach Stor Mor understands this, and they’ve gone out of their way to cater their self-storage options to meet those demands. Their concrete indoor storage units are surrounded by a security fence and continually patrolled by an experienced security team. Each unit features a strong metal roll-up door, and on-site resident owners are available for customer concerns. Renters also enjoy 24-hour access to their units and affordable payments. K-Beach Stor Mor offers indoor storage options in four different sizes. Small 4 x 4 units are perfect for clearing out your closets at home, and large 10 x 20 units offer widespread storage potential. Alaska residents love the great outdoors, and K-Beach Stor Mor also has room for all your outdoor toys and equipment. ATV and vehicle storage is available for long-term use, and trailer storage and RV storage will clear up space on your property. Customers who pay six months in advance enjoy a 10% discount, and K-Beach Stor Mor will work with you to find the ideal self-storage solution for your situation. 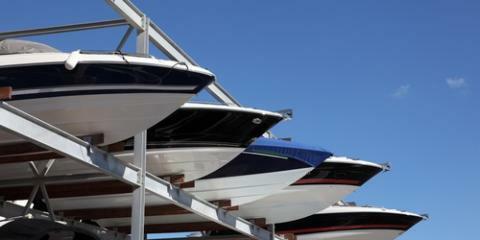 Visit their website kbeachstormor.com to learn more about car and boat storage, or call (907) 262-8304 to inquire about availability.